How do car manufacturers gain success in international markets? 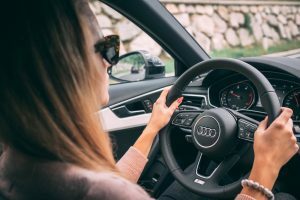 With so many weird and wonderful makes and models travelling along our roads, it’s no wonder even the biggest car makers are going to hit a red light when it comes to localizing their latest offering. There’s an apocryphal tale that back in the 1980s General Motors tried to market their newest Chevy model in Mexico as the ‘Nova’. However, ‘No va’ in Spain translates as ‘It doesn’t go’. Not a great name for a car. However, this example does highlight how important it is to work with your language service provider to make sure you do your localization research. Mistranslations and failure to do research can damage your brand. Your translation agency may be able to help. They have thousands of expert translators at their disposal. You can even request preferred translators who you have worked with before – translators who understand your brand and your content in very, very specific markets and sectors. Even the biggest and best manufacturers can get it wrong sometimes. Ford hit a problem when a campaign running in Belgium mistranslated ‘Every car has a high-quality body’ to ‘Every car has a high-quality corpse’. The original name for the Mitsubishi Shogun has incredibly crude connotations in Spain, as does the Buick Lacrosse in France and the original Honda Fitta (now Fit and Jazz) would not have worked in some parts of Scandinavia. These examples show the importance of getting the right translator in front of your content and undergoing a process of due diligence through localization – because what might work in one language or country might not translate so well into another. Some model names may be fine and translate perfectly ok – they just sound strange in different markets – such as the Suzuki Every Joy Pop Turbo or the Van Van – which is a motorbike. Or you can be incredibly brave, not localize at all, and use a different language across your export communications. It can work well… Audi’s ‘Vorsprung durch Technik’ still resonates with UK audiences 35 years after its arrival. Good translations will be error-free. The best translations will resonate with a local market and speak to customers in their language. Use translations to drive export opportunities, to reach more customers in international markets, and to sell more products and service in more countries. Why not get a quote right now? Elanex Japan KK 32F Shinjuku Nomura Bldg. What’s the hardest language to translate? Magento Live Barcelona | 2018 – Come and say Hi!